Is there a third solution? “After decades of empty promises on immigration enforcement, Congress simply lacks credibility to keep its promises. A comprehensive amnesty bill was tried before and it failed. In 1986 we had about 3 million unlawful immigrants. Congress granted them legal status with a promise to control our borders and fix our legal immigration system. Lawmakers who supported the 1986 bill promised in grand speeches that amnesty would never happen again. Now there are 11 million unlawful immigrants in America because amnesty was immediate but the border wasn’t secured, workplace laws were not enforced, and our legal immigration system was not fixed. The result of amnesty is clear — it encourages more unlawful immigration in hopes of future amnesties. While we applaud Marco Rubio’s efforts to fix something that’s long needed addressing, I fear this approach, laced with promises that Congress just simply isn’t very good at keeping; this bill isn’t the way to go. Rubio’s good-hearted approach has been shanghaied by open-border liberals and racial politics. What’s more, caution and a bit of suspicion should fall on those who have put their full faith and trust in him—truly, he ought to know better. What if instead of focusing on some kind of be-all end-all comprehensive solution (which, by the way, currently weighs 24 pounds), we simply address what’s broken … one at a time? Even though Ms. Napolitano more recently claimed that looking at the border today as compared to 20 years ago is like looking at a “rocket ship and a horse and buggy,” the portions of the wall I witnessed were easily penetrable, and crossing attempts (successful and not) are an everyday occurrence. 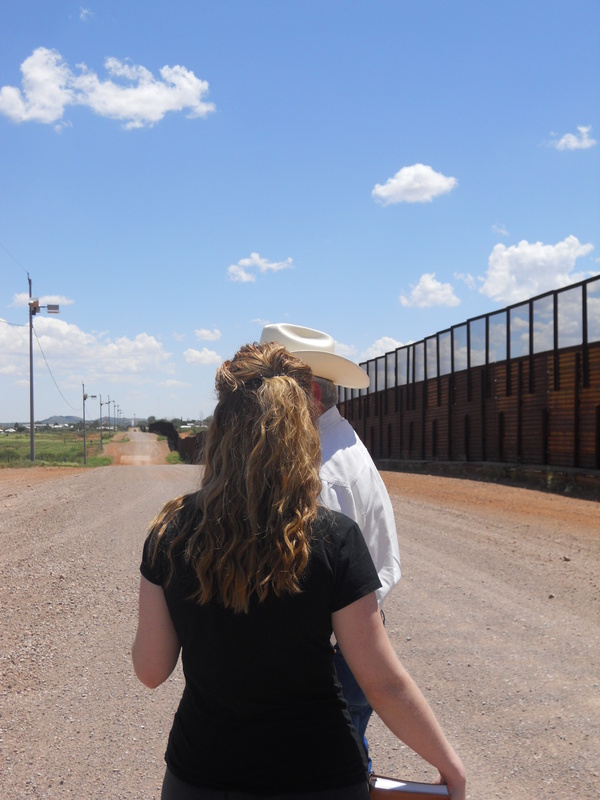 (Ironically, the places she visited were the very “built up” locations I allude to in the next paragraph) Like most people, when I hear about fencing along the border, I envisioned cement, barbed wire, electricity, guards… in general a sense of certainty that where the fence was, no one was getting across it. I couldn’t have been more off base. In many places the fence is unlike what many expect or envision. It is uneven, inconsistent, and in places put together with scrap metal from past wars. Some of these scrap metal pieces have deep ridges that the builders laid horizontally, carelessly facilitating an easier climb. Another kind of fencing is known as “No Climb Fencing,” a design supposedly engineered to do the obvious. A skeptical Tucson area resident decided to test the fence, and brought with him a group of teenage boys and girls to attempt the climb. The boys averaged just 14 seconds and the girls just 23 seconds to scale the “No Climb.” Simple fixes like material choice alternations would make a world of difference. 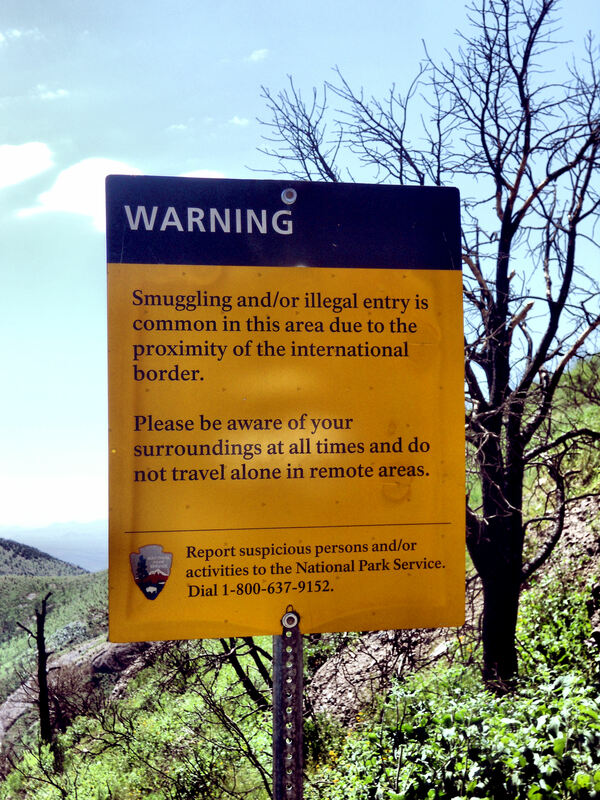 In addition, hot zones have been created by trying to secure only portions of the border, effectively funneling traffic through a narrow corridor—as what happened when border security was heightened near San Diego and near El Paso … resulting in the highly trafficked Tucson sector I visited in Arizona. The approach cannot be selective; history shows us they’ll just find another way. 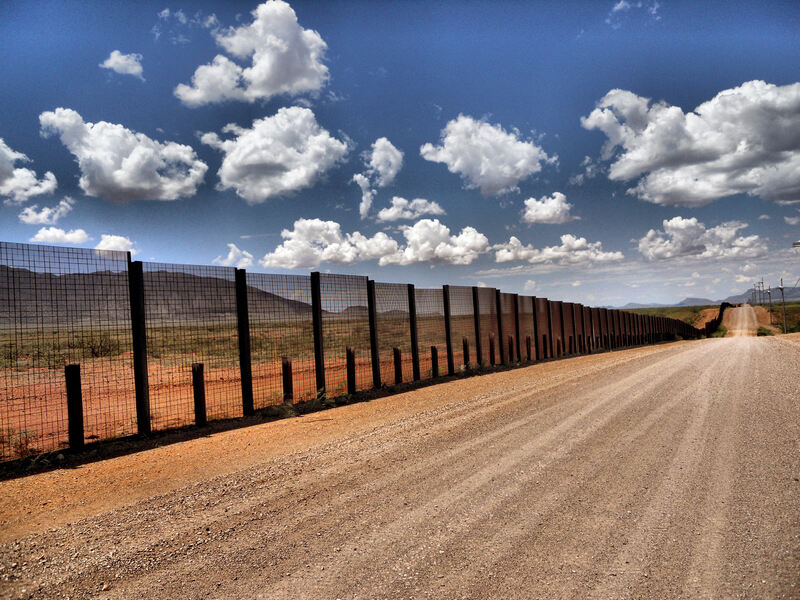 Even with the wall, ample border patrol infrastructure is required. Building a fence isn’t the only solution. Sheriff Dever was once asked by Fox News’ Bill O’Reilly why we “just don’t build a fence and be done with it.” Dever remarked that the solution to the problem isn’t found in the fence alone, but rather the guardianship of it. “The Great Wall of China only worked as well as it did because it was well-guarded with outposts and consistent communication.” We have the tools to do much of it, but they are ill used. There are cameras line portions of the fence, but often one person is left watching 30+screens. 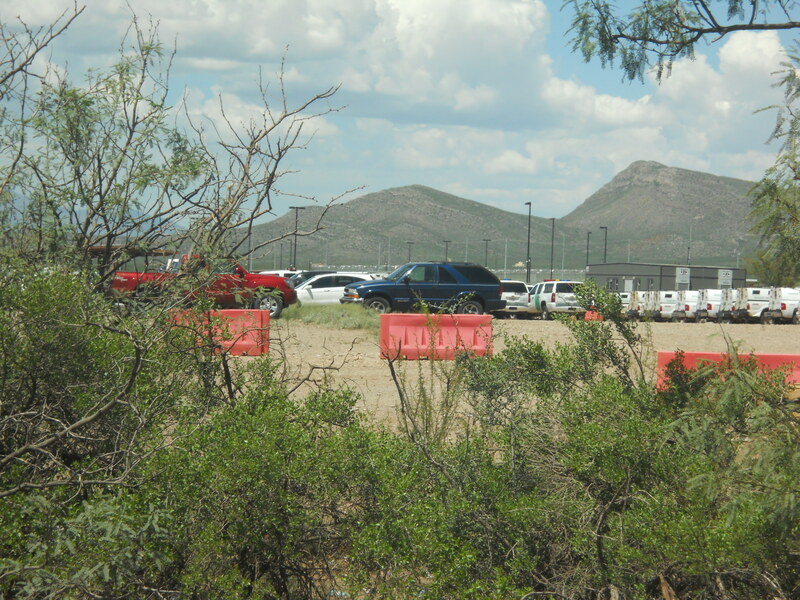 Border patrol trucks sit idle en masse at border patrol stations while just one lone truck patrols sectors of the fence. Local law enforcement officials are well aware of the movement schedules of the daily border crossings, yet border patrol is not activated to pursue those leads. What’s more, they’re actually told to stand down. “Border Patrol agents have been instructed not to work in certain areas because of the danger levels,” stated Sheriff Dever, “Upper management denies that, but the guys on the ground will tell you it is absolutely true.” This is something that Washington D.C. wants kept quiet. During my own trip to the border, I found this out first hand. Upon arrival in the tiny border town of Naco, the sheriff remarked to me that within minutes, Janet Napolitano and the Department of Homeland Security would know that he and his guests were there. “I know for a fact that these agents have specific orders to contact Napolitano’s office whenever I bring anybody down here,” he said. Sure enough, Border Patrol pulled up alongside Dever’s sheriff truck, and made it abundantly clear that Dever and his guests probably “shouldn’t” be there. Dever, a veteran law enforcement official, was breaking no laws. He ignored the admonition. Why is it that our government doesn’t want local law enforcement showing the public what really goes on? Is it simply optics? That is, that they’ve been derelict in their duty to protect the border and having the public find out that it would cost them votes in the next election; or, is it that keeping these crossings going means more and more immigrants to be legalized, which can easily translate into future voters? Either way—the fact that this administration has directly participated in the covering up of the realities along one of the most dangerous swaths of border is alarming. 2. Fix our immigration system. Streamline the process, and make it possible for someone to apply without needing the assistance of a $300/hour lawyer. With this labyrinth of paperwork, it shouldn’t surprise anyone that we have the illegal immigration problem that we do. After all, it’s often people seeking a better life who are trying to immigrate—not those who can necessarily afford it! Much like so many things in Washington, red tape and duplicative processes have bloated the immigration system. It is sluggish and weighty. This, coupled with the fact that the federal government wants little to do with state officials trying to cooperate to protect the border only magnifies the situation. To be certain, it is a federal border, but the federal government isn’t doing its job. It knows that it is not doing its job, and this conscious decision followed by a lack of action is simply an attempt to “sweep it under the rug”. Far sadder and more outrageous, the federal government has not only pushed back against working with local authorities, it has actively dismissed programs that once allowed such effective cooperative. “The 287g program was a partnership between ICE and law enforcement. There’s specific training that local law enforcement undergoes under the umbrella and the supervision of ICE (DHS-Department of Homeland Security) that they can then enforce immigration law both on the street and in the jail. That memo [to discontinue it] went out moments after the Supreme Court ruling [on the Arizona immigration law]. It was something planned,” said Dever. In short- our federal government hasn’t handled the border situation, and they’ve taken active steps to take the reins away from the state officials willing to try. America has for generations been the greatest hope for freedom on planet earth. We need an immigration system that continues to welcome with open arms those who wish to be free and work hard; those who wish to adopt this country and love it as their own. This builds not only on our heritage, but it will benefit our future. Hard-working, dedicated, and freedom-loving citizens are the backbone of this country—characteristics that so often describe those wishing to truly become American. The only thing in any bill that ought to be directed at the illegal population in this country should be short and sweet: if you have no papers (yes, papers), we’re not going to waste our time and efforts on rounding you up and kicking you out, but you’re not going to be able to take advantage of any state-funded amenity. No welfare, no driver’s license, no Emergency Room services for the common cold … no public school, and certainly no college scholarships. Without a state-issued ID it’s going to be impossible to travel, open a bank account, a credit card, etc. etc. Crack down on businesses that hire illegal aliens under the table. Make it hurt to break THIS law, just like it’d hurt for a citizen to break any other standing law. If you want legal status, you’ll have to leave and come back in the front door. 4. Refugee Status—Naturally, of course, there should be provisions for those truly deserving of refugee status. No one in this country would deny a suffering family the chance to escape terror or violence—those provisions would exist. But it must be provable, and verifiable. In the end … illegal aliens continue to stay here without papers because it doesn’t hurt … and our courts, our politicians, and our administration continue to brush aside those who try to uphold the law! Arizona is a perfect example. When Governor Jan Brewer sought to enforce the very immigration laws that our federal government currently seems to ignore, her state was thoroughly lambasted. Most recently, the Supreme Court recently struck down its law requiring its voters to show proof of citizenship in order to register to vote. As much as it pains me to admit it, the court was right. Why? Because states cannot create laws pertaining to federal elections that supersede federal laws pertaining to the same. Because the federal government doesn’t require someone to prove their citizenship in order to participate in one of the most sacred facets of citizenship—voting—states cannot require it. The Supreme Court decision pains me not because it was wrong, but because it was right. I want states to be able to protect themselves, and the fact that their law went beyond anything the federal government has in place is troubling. The reason why states like Arizona have taken the step to draft state immigration laws is simple—they are filling the void the federal government has left wide open. Our government has been actively subverting the effective gate-keeping of our southern border, and with this current bill we trust them to simultaneously successfully address each one of the aforementioned issues? Not surprisingly, their answer is amnesty, while setting the rest on promises and borrowed spending. This solution is not only ineffective and lawless, but just like the unfairness the Brazilians and the Chicagoans felt at their respective governments setting them aside for something those governments deemed “better,” or “more important” than the people, amnesty IS wholly unfair to the legal immigrant. Have you ever stopped to thinking about the timing? With so many other issues—a stagnant economy, D.C. Scandals, escalating world events—how has this issue somehow wiggled its way to the top of the stack? The actions of the powerful should always been viewed through a curious and inquisitive eye, especially when these actions come from Washington D.C. The movements in our nation’s capital city have become a constantly and carefully choreographed dance, with deviations as rare as diamonds. In other words, timing is everything. In light of this understanding, it begs the question: why immigration, and why now? Come back for Part III to find out!